A dining and entertainment guide for the holidays. [Special Promotion] The month of December is a month for celebrations. As 2016 draws to an end, it’s nice to reflect on the year gone by in the company of friends and family. Nothing brings people together more than food and drinks, and our holiday dining and entertainment guide will be sure to point you in the right direction. Music takes center stage at Cafe La Vida, where you can enjoy state of the art sound and lighting systems while you drink and dine. The music at Cafe La Vida is typically Latin, and tends to lean towards a Cuban sound. Warm up your Christmas this year with a Caribbean touch—Cuban music, Cuban cuisine, and of course, Mojitos. 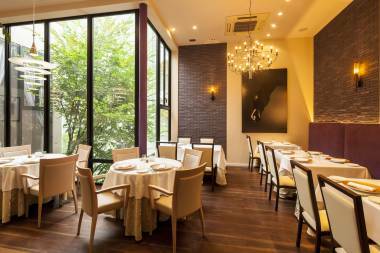 Cafe La Vida has special Christmas dinner courses starting from ¥3,800. Mention Metropolis and receive a complimentary drink from a choice of beer, wine, or cuba libre. Takayoshi Kawai, the eponymous owner and head chef of Chez Taka, has an impressive track record. He has worked in a host of Michelin-starred restaurants in Europe and North America, perfecting his signature French cuisine. 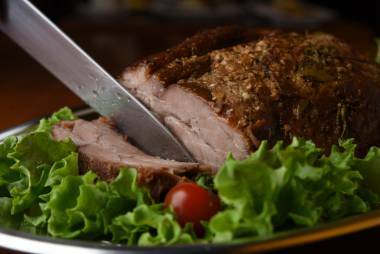 Enjoy wholesome farm-to-table cooking at Chez Taka this holiday season, with a special Christmas menu priced at ¥10,000. Or drop by to try the special new year menu, which is ¥6,500 for lunch or ¥7,500 for dinner. Mention Metropolis and receive a free glass of sparkling wine. 1-20-3 Higashi Azabu, Minato-ku. Tel: 03-5797-7687. Lunch: 11:30am-1:30pm (last call), Dinner: 5:30pm-9pm (last call). Akabanebashi. Come and feel the joy of Christmas at Chiles Mexican Grill. 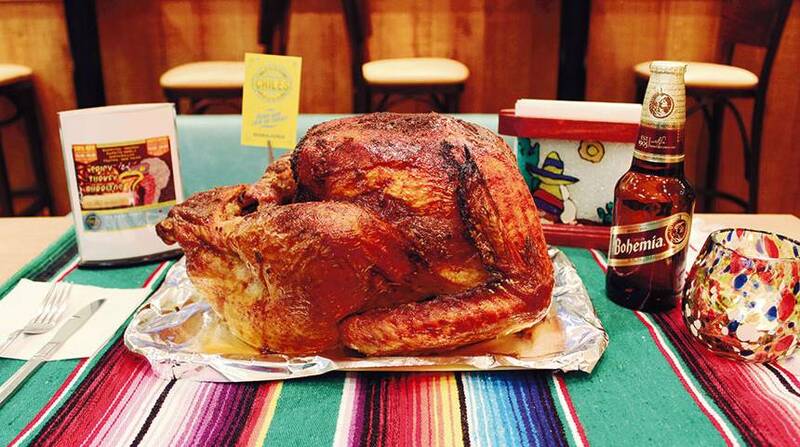 Enjoy Chiles’ Christmas menu, featuring appetizers, roast turkey plate with mashed potatoes and special stuffing, Mexican ceviche, Christmas salad and Chiles’ traditional homemade cheese flan. On Christmas day, receive Chiles’ famous once-a-year Christmas apple salad for free with any food purchases. 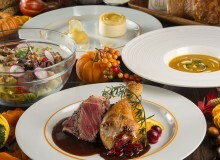 The Christmas dinner course is available for ¥4,850, between Dec 22-24. Reservations are essential. Complimentary glass of sparkling wine (cava) per person with each reservation. Coyote Ugly Saloon, the infamous chain of bars from New York, will open a new franchise in Roppongi this December. You’ve probably seen the film, or have heard the legend. It’s all true. Skimpily clad bartenders really do dance and sing on top of the bar, and they really do challenge patrons to drinking games. This means one thing: it’s the perfect place for boisterous Christmas parties. This holiday season, Coyote Ugly Saloon will host special Christmas events from December 22-25, as well as a countdown event on New Year’s eve. For more information on events, visit their website. 8・9F Roppongi Plaza bldg, 3-12-6 Roppongi, Minato- ku. Tel: 03-6432-9858. Mon-Sat 7pm-5am. Roppongi. Email: coyoteuglysaloon@banc.jp. 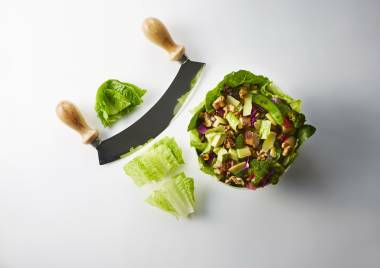 Crisp Salad Works is a pioneer in Tokyo for the fast, casual, custom-chopped style of salad bars that are popular in the States. The menu of salads, grains, and lemonade (with free refills!) goes above and beyond health-conscious vegan and gluten-free fare, aiming to satisfy anybody who wants to eat well while eating right. The chicken and ham are cooked in-store daily without preservatives, and the dressings are house-made every day. Come grab a table or get a salad to go. English-speaking staff available. Guzman y Gomez, the premium fast food outlet from Australia, is opening a new branch in Roppongi on Dec 12. 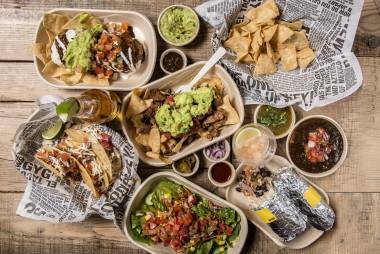 Guzman y Gomez serves up healthy Mexican food using fresh ingredients, and is particularly known for their mouth-watering burritos. Guzman y Gomez will be hosting a special Free Burrito Day for anyone visiting the Roppongi branch on their opening day. All you have to do to receive a free burrito or a burrito bowl is to visit the branch on Dec 12. It’s the holiday season. ‘Tis the season for celebrations and lavish meals. And if you’re concerned about all the extra calories you’ll be ingesting this month, why not dance it off in style at Roppongi’s newest night club, DiA. 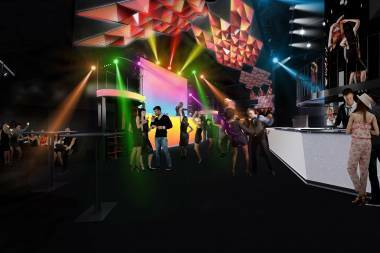 DiA is a classy three-storey club, and it opens Dec 2. Expect to see world-class DJs and dancers from famed dance troupe, Burlesque Tokyo. There will be a special Christmas event from Dec22-25, and a countdown party on Dec 31. Mention Metropolis for a special discounted entry price: ¥3,000 with 2 drinks for men, ¥1,000 with 2 drinks for women. 1-3F Roppongi Nittaku bldg, 3-8-15 Roppongi, Minato- ku. Tel: 03-6447-4416. 1F: 6:30pm-Late, 2F: 9pm-Late, 3F: 10pm-Late. Roppongi. 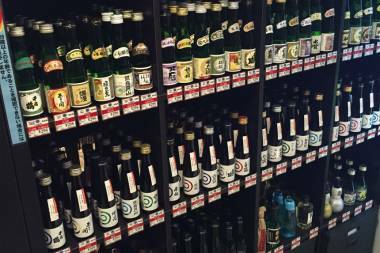 If you’re looking to stock up on sake this holiday season, make sure you stop by Ichigou in Kamata. Ichigou is the only sake store in Japan that specializes in 180ml bottles of the good stuff—which is the perfect size for a souvenir or to bring to a house party. And for people interested in sampling different types of sake, Ichigou has a great deal on six packs during the month of December. For ¥2,000 (+tax), you get to pick six bottles out of a selection of 45 different sakes. Spend over ¥1,000 and receive a free san shaku masu—a traditional Japanese vessel used to drink sake. 5-20-5 Kamata, Ota-ku. Tel: 03-3731-0604. Open 24 hours. Kamata. Email: capsule.kamata@citta-rex.co.jp. 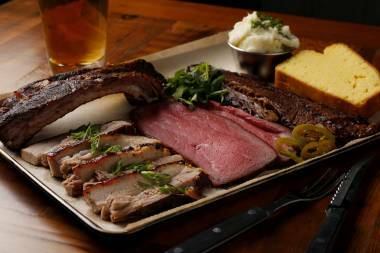 If authentic American barbecue is something you are craving this holiday season, look no further. The good people at Good Barbeque American Craft Smoke has your back. “Craft” is something taken seriously here, and they smoke and marinate all their meats in-house. 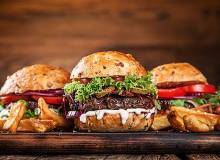 As well as a wide selection of smoked meats, they also serve tasty craft beers from local and international microbreweries. 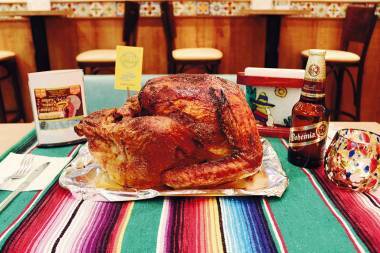 Good Barbeque is now taking bookings for end of year parties, with deals starting from ¥2,700. Pay an additional ¥2,052 and get all-you-can-drink craft beer. What more can you ask for? 1-22-12 Nakameguro, Meguro-ku. Tel: 03-6303-3575. Experience modern Greek dining at The Apollo this holiday season. 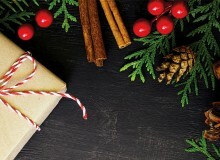 Try their Christmas menu, available between Dec 19-25, which features signature dishes such as saganaki cheese and charcoal grilled spare ribs. 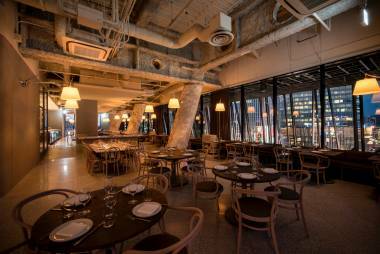 The Apollo is an award winning modern Greek restaurant from Sydney, Australia. Inspired by the flavors of the Mediterranean, The Apollo focuses on key ingredients—olive oil, fresh seafood, fresh vegetables and dishes cooked over wood fire. Celebrate the holiday season with friends, family or work colleagues at The Apollo, and enjoy modern Greek cuisine.